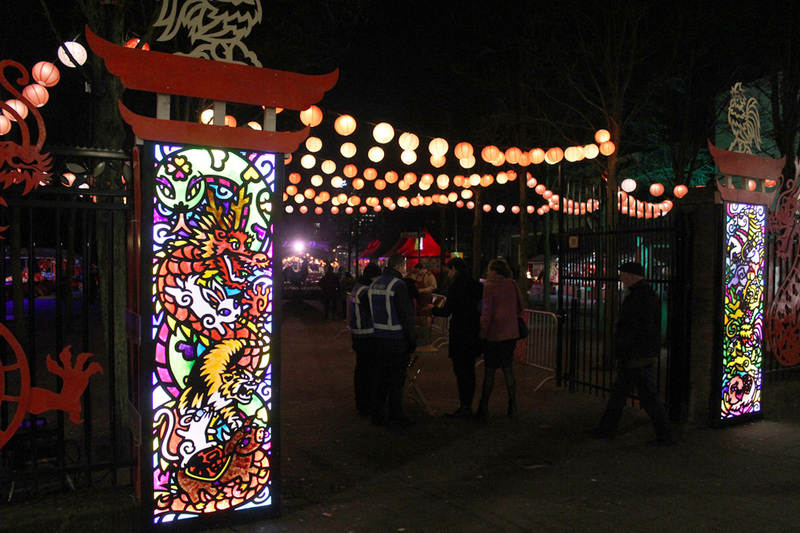 For the third year we were honored to design an new art installation for the Rotterdam Chinese New Year. 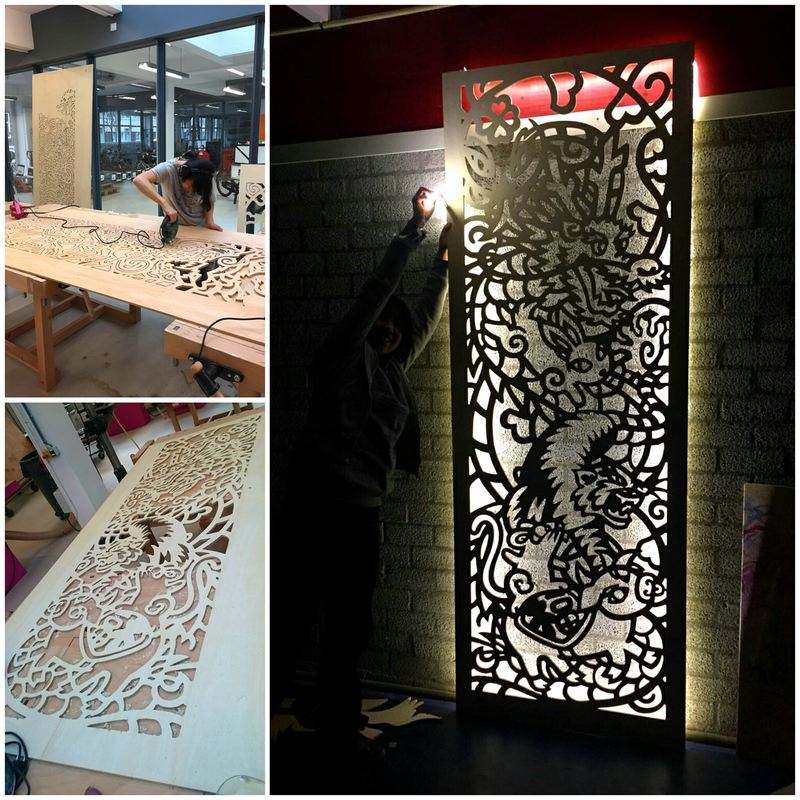 We were given the chance to design and build an entrance gate for the festival park to make the festival more visible to the visitors. 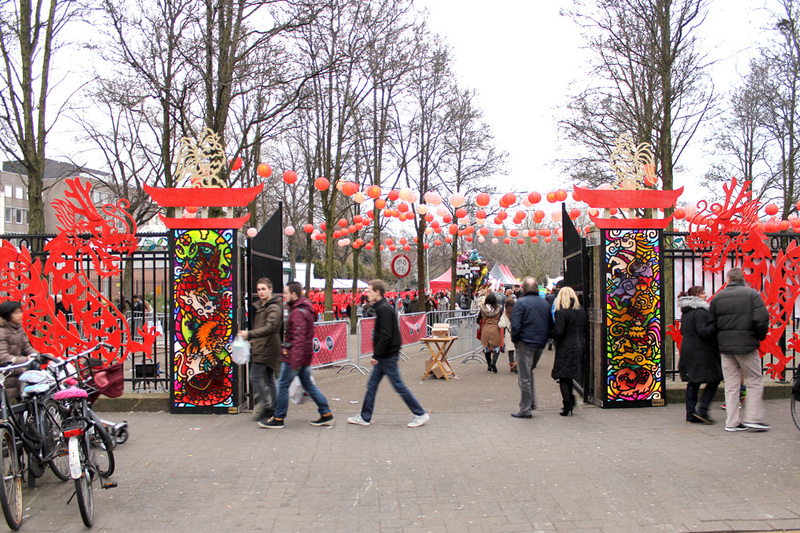 Inspired by the Chinese zodiac signs we combined all the 12 zodiac animals in the entrance gate. It tells the famous Chinese folklore about a race hold by the Jade Emporer. The twelve animals who arrived first will be selected as his guardians and get a place in the Zodiac. 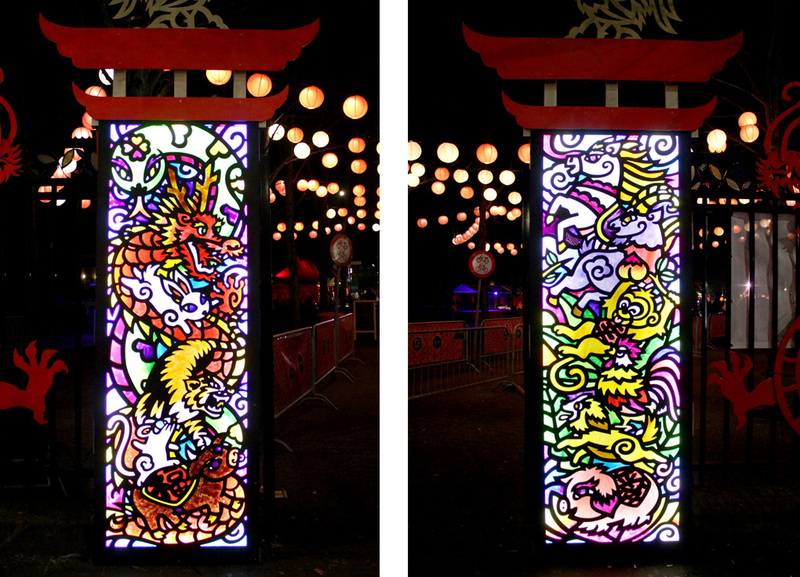 Besides the Zodiac gate we also added our Double Dragons from the years before, so the total installation of 10 meters made the visitors feel like a real welcome entrance.